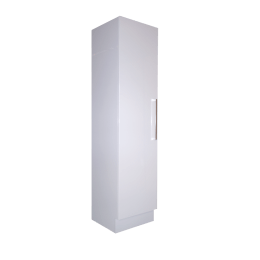 The 60cm Pantry Topper from Alpine Building Products’ preassembled pantry cupboard range is the perfect addition to any new Alpine kitchen. 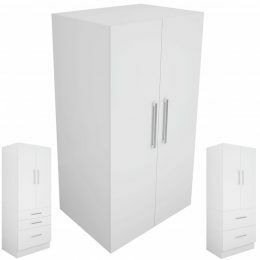 With its functional design and practical looks, this pantry topper offers plenty of storage space. It comes completely pre-assembled and is designed to offer easy installation. 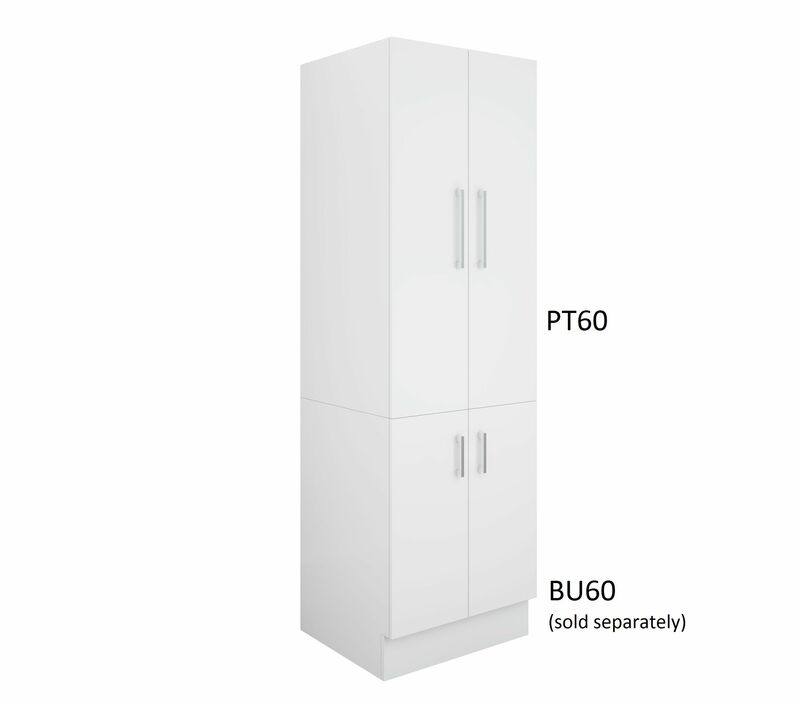 The Pantry Topper measures 600x580x123.5mm in dimensions and is designed to fit BU60 or BD60 base cabinets. Expand your storage space with this spacious and functional pantry topper. 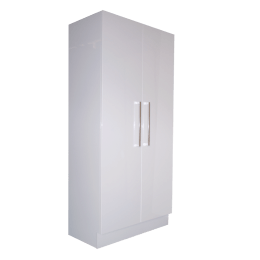 As with all cupboards in our kitchen range, this pantry topper features a white 2-pack gloss finish on all sides, the doors are equipped with the soft closing mechanism and feature modern chrome handles. 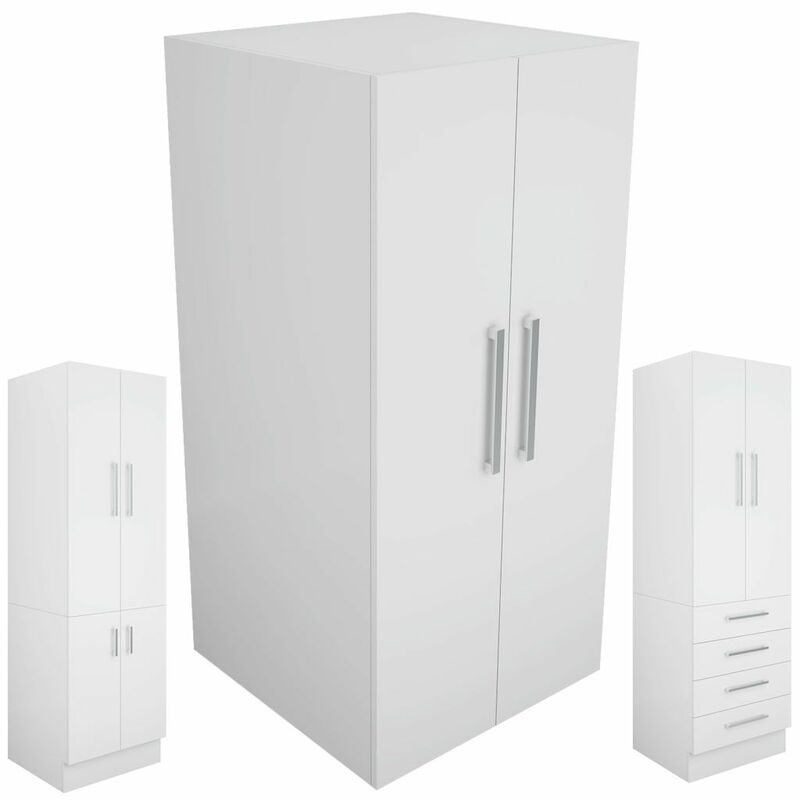 You will experience superior quality by choosing Alpine Building Products’ cupboards. 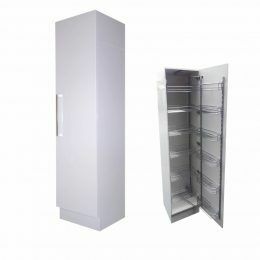 This pantry topper is manufactured to the best quality standards using HMR board and is highly moisture resistant. 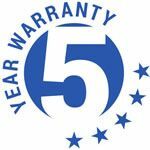 Alpine cupboards feature a 5-year warranty covering materials used and artistry at the time of manufacturing. Visit your nearest Alpine stockist to buy the 60cm Pantry Topper today!